The developmental trajectory of attention-deficit hyperactivity disorder (ADHD) is variable. Utilizing a longitudinally assessed sample, we investigated the contribution of susceptibility gene variants, previously implicated through pooled or meta-analyses, to the developmental course of Attention-Deficit Hyperactivity Disorder over time. 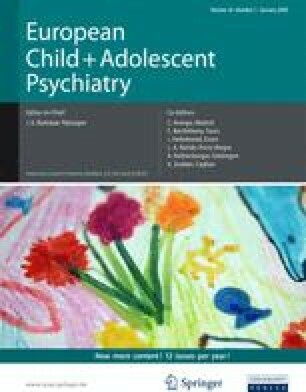 151 children (aged 6–12) who met diagnostic criteria for ADHD were assessed using research diagnostic interviews during childhood and 5 years later in adolescence. Severity was defined as total number of ADHD symptoms at baseline and reassessment. Association with variants at DRD4, DRD5, and the dopamine transporter gene, DAT was analyzed using linear regression. As expected, affected individuals showed a decline in ADHD severity over time. The DRD4 48 bp VNTR 7-repeat and DRD5 CA(n) microsatellite marker 148 bp risk alleles were associated with persistent ADHD. Those possessing the DRD4 7 repeat risk allele showed less of a decline in severity at reassessment than those without the risk allele. Those carrying the DRD4 7 risk allele showed greater symptom severity at follow-up and less ADHD reduction over time. These findings support the hypothesis that some susceptibility genes for ADHD also influence its developmental course. We would like to acknowledge the help and advice of Dr. Valentina Moskvina with the statistical analysis. Financial Support: The first wave of data collection was supported by the Wellcome Trust and ACTION research. The second wave of data was supported by the Department of Health (England). We would also like to acknowledge the support of grants from the National Institute of Mental Health (US NIH) and National Institute of Aging (US NIH) to RKM, Janssen Cilag who funded TAF and the Wellcome Trust who provided a Value in People Award for KL. The authors have no financial disclosures. AT had full access to all of the data in the study and takes responsibility for the integrity of the data and the accuracy of the data analysis.